You don't always need to create new products from scratch. 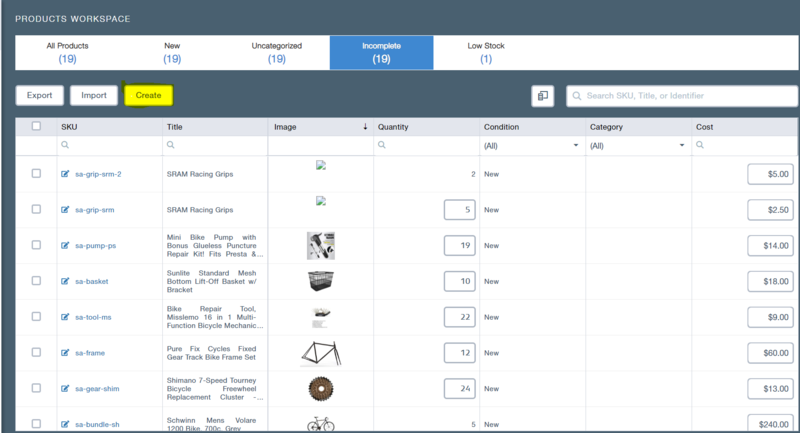 Here's a quick guide to using SellerActive's search tool, which searches for existing listings on Amazon and Walmart to help you populate your Products Workspace easily. In the following example, you'll see a product—a t-shirt—that this company wants to sell on Amazon and Walmart. Instead of creating a product from scratch, we can search for the product and determine if the product already exists on Amazon and Walmart. 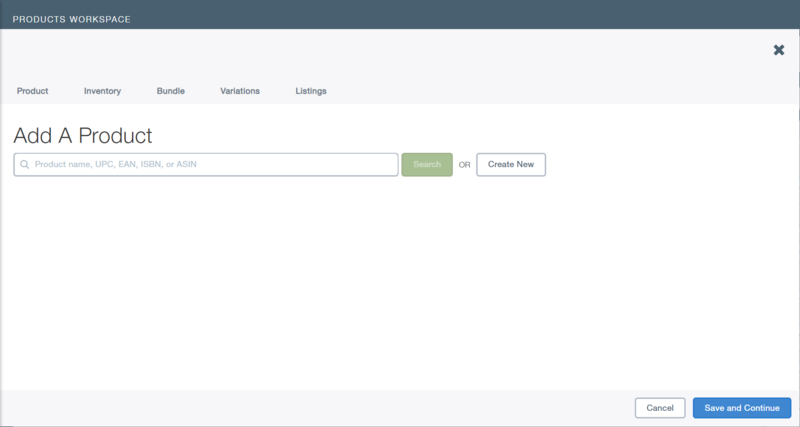 1) In the Navigation Pane, Select Workspaces, then Products. 2) In your Products Workspace, click Create in the upper left-hand side of your screen. 3) In the next screen, enter a UPC, EAN or ASIN into the search box and click "Search". 4) SellerActive will then look at Amazon and Walmart's existing listings to see if we find a match. Below, you'll see SellerActive has found a t-shirt with the same identifier, meaning that someone is already selling this product on Amazon and Walmart. As you can see, someone else is selling this product on Amazon and Walmart. From here, you can select "Use Category" to create a listing in the same category on Amazon on Walmart, or, select "Sell Product" to add yourself to the list of sellers who carry this item, and begin competing for the Buy Box. If you select "Use Category", you'll be taken to a blank screen where no fields are filled in, other than the Amazon and Walmart categories. You will need to fill in all required fields in order to create your product. If you select "Sell Product", you'll see that SellerActive has auto-populated most required fields already (in green). Any remaining required fields will be marked with a red dot for you to fill in, including the SKU, which you will need to add before clicking "Save and Continue". Bundle tab: create a bundle of items for sale. Please note: the SKU you are bundling this item to must already exist in SellerActive. Variation tab: add this product as a variation, or add variations to this product. Listings Pane: add the Pricing strategy, your minimum, maximum, and preferred prices for each marketplace. If you want to switch between marketplaces, click on the Marketplace logo. That's it! Your item is ready to list.